Leading supplier of Acorn Stairlifts in Alberta, Canada. Reputable, affordable and award-winning stairlifts. Next day installation available for residents in Alberta. Explore Acorn's range of stairlifts available in Alberta. As a leading supplier of award-winning Acorn Stairlifts, we have a diverse collection available for homes in Alberta. Acorn's stairlifts ensure that your home remains as accessible as possible by using the most innovative cutting-edge technology – allowing home owners to remain independent. An easy-to-install stairlift that can help you transition up and downs stairs effortlessly. Perfect for any curved staircase and ensures a comfortable ride at a low running cost. Weather-resistant outdoor stairlifts to make tiered gardens more accessible. Let us know your contact details so that Acorn's team of experts in Canada can get in touch and further discuss your stairlift requirements. From this initial call, Acorn will be able schedule a free no obligatory survey to determine what stairlift will be best suited to your needs. You'll also recieve an instant quotation for you to think about. 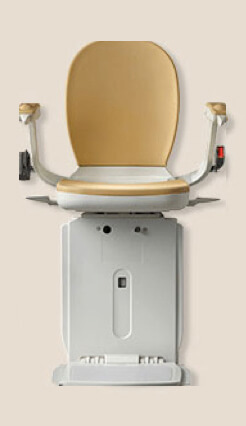 Once you have decided to work with Acorn, they will plan an installation date to fit your Acorn stairlift. 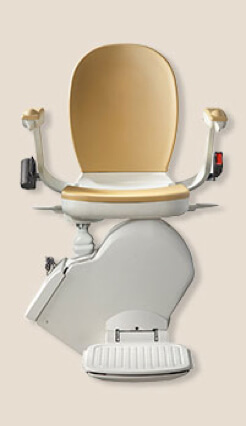 If you live in Alberta, your stairlift can be installed the very next day if required and should only take one hour. Although you'll be happy to hear you get a 12-month warranty with your stairlift, aftercare packages are also available. Acorn has a range of affordable schemes for you to choose from and their team is always on hand 365 days-of-the-year. Not convinced? Listen to what Acorn's other customers in Canada have said about them! "The stairlift has made a massive difference to my independence. " "I feel confident when using the stairs and I no longer dread having to climb them. " "By using the stair lift, I've been able to stay in my own home." How much do stairlifts cost in Alberta? The cost can vary for installing a stairlift in Alberta. Once you have booked your free survey with Acorn's team of experts in Canada, they will assess your requirements and leave you with an accurate written quotation to carefully think about. However, we must stress that a stairlift is a great investment and can improve your quality of live. Will I be obliged to buy a stairlift after my free survey? Absolutely not — the decision is in your hands. As part of our paternership with Acorn Stairlifts, we offer a free survey so that we can learn more about your needs and the design of the home. From this, we can develop a greater understanding of what is actually required to make your life much more comfortable. Is there a warranty on stairlifts? The beauty of our partnership with Acorn Stairlifts is that we can offer a 12-month warranty on all of our products. If you experience any failures due to manufacturing problems in Alberta, a fully-trained service technician will be round to fix the problem and get your stairlift working again — free of charge. Does it take long to install a stairlift? Installing a stairlift does not take as long as you may have anticipated. Depending on what stairlift you chose from our Acorn collection, if the product has been manufactured to the exact dimensions of your home, it can take less than one hour to install. Will my stairlift work during a power cut? The products listed on our website were chosen due to the forward-thinking and innovative developments that have been made. We understand that your stairlift will become an integral part of your daily life — meaning there's no room for error or non compliance even in the worst scenarios. Is a stairlift suitable for people with disabilties? Our selected stairlifts from Acorn are as inclusive as possible — but it's important to find out the right information before making a purchase. If you are interested in buying a stairlift to improve your quality of life, contact Acorn's team of experts today for more information. What weight can a stairlift hold? Each stairlift has been designed to hold a different set weight. 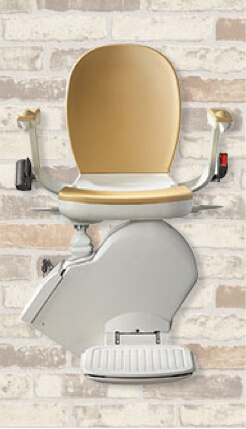 Can I decorate my walls after the stairlift has been installed? In contray to what most people think, your starlift will be fitted to your staircase opposed to the walls. This means that there will be minimum disruption to your home and no repairs to be made as a result of the installation.